SignFlow’s secure multi-document portal, Portfolios, offers businesses a reliable means of complying with stringent regulations. There are two well-known and much-publicised Acts that make South African businesses shudder in their shoes – the Financial Intelligence Centre Act (FICA) of 2001 and the Protection of Personal Information (POPI) Act of 2013. The two pieces of legislation have much in common. To begin with, they both have to do with how your business deals with customer identification and verification processes, and how it stores and maintains customer and transactional records. Secondly, there are severe penalties associated with non-compliance – severe enough, in many cases, to cause irreparable reputational and financial damage. Third of all – and this is the good news – SignFlow can help you comply with both. Our digital signature workflow solution offers you an efficient and sure-fire means of making sure your business processes and IT systems are up to scratch when it comes to compliance with both these Acts – so you need no longer shy away from the dreaded “F-word” and “P-word”. 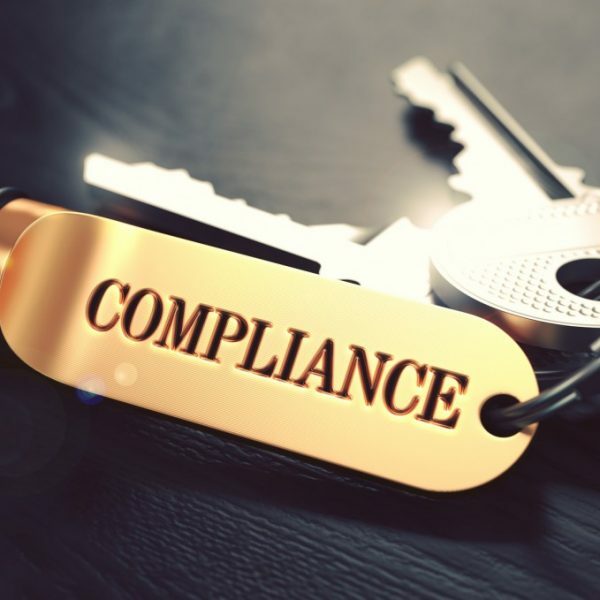 FICA and POPI compliance largely comes down to how you transmit, maintain and store customer data and, while the sheer volume and variety of data may make the process seem very complicated, SignFlow’s Portfolios feature offers you a surprisingly simple means of tackling it. Because there is no email (which is inherently insecure) involved and all documents are uploaded through a secure, encrypted channel, to an online portal where they can only be accessed by the individuals authorised to access them, Portfolios is an invaluable tool to have in your arsenal when you are striving for FICA and/or POPI compliance. The company requires identification and proof of residence documents (documents required by FICA that both also have a bearing on POPI) from a client. That same client needs to sign a contract, which contains personal and financial information, and send it back to the company. SignFlow Portfolios enables you and your client to upload and share documents (both signed and unsigned) via an encrypted portal. There is no emailing, printing or scanning of documents involved at any stage. All your client’s information is kept neatly in one designated, easy-to-access and searchable databank. Given that the implementation date for the POPI Act is expected to be set this year – and in light of the FICA failures* we have seen in the past, you are under more pressure than ever before to make sure your business complies. Contact SignFlow today for more information on how we can ease the pressure and give you total peace of mind. If you’re a financial services company in South Africa, did you know there are steps you must take in order to become FICA compliant? You have probably heard about the legislation passed by the Financial Intelligence Centre entitled FICA – or Financial Intelligence Centre Act; the purpose of this legislation is to provide further transparency for financial services companies throughout the country in order to eradicate money laundering, scams, corruption and dishonest business practices. Essentially, financial services companies such as micro-lenders, auto loan companies and home loan companies must reassess their entire client list in order to ensure that all clients’ identities and finances can be verified. Think of it as a sweeping credit check to everyone in the existing database – it’s a way to identify and handle anyone who poses a potential problem to your company. Online credit checks. Need to find out your clients’ complete credit history? It’s easier than ever before with pbVerify. Our system is user-friendly and efficient, and you’ll have instant access to the complete financial information that you need. Risk management and risk assessment. FICA legislation requires all financial services companies to reassess their books. In addition to re-evaluating current clients, pbVerify can also help you make an informed decision when it comes to taking on new debtors. In this competitive business climate, you need to be certain that you’re making the right decision and not getting involved with people or companies that have questionable financial histories. ID Verification. Our online ID verification solutions and ID-verify API (Application Programming Interface) are in use by some of the country’s largest financial institutions, retailers and system integrators for FICA compliancy and other identification solutions. Our XML data can integrate with almost any platform and provide a fast, but stable platform to build real-time intelligence into your systems with automated consumer ID information on-demand. Enlist the services of pbVerify today and your company will be on its way to being fully FICA compliant. In the end, FICA benefits everyone as it aims to eradicate dishonest business practices, money laundering, fraud and scams. Contact us today or visit our website to learn more about pbVerify.